Norma's Pasteles is located at the corner of Av. Veracruz and Av. Lopez de Legazpi at the southern end of Barra de Navidad across from Popeyes. When you see someone walking down the street with a giant slice of cake, this is probably where it came from. 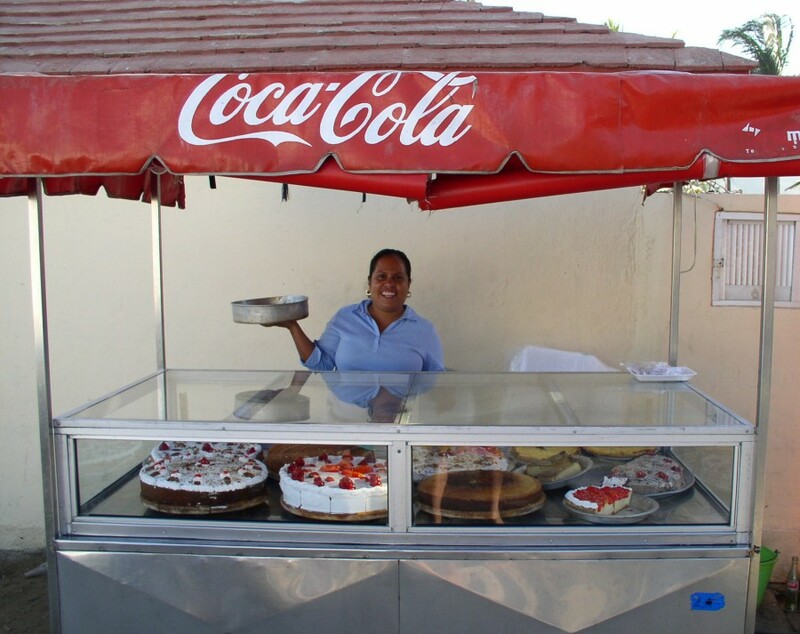 The proprieter, Norma Edith Sanchez Torres, is here from 3:00 pm to 10:30 pm seven days a week selling her homemade deserts. Norma's Pasteles is known for the best pastel de tres leches in the Best of Barra. This page has been visited times since March 12, 2006.